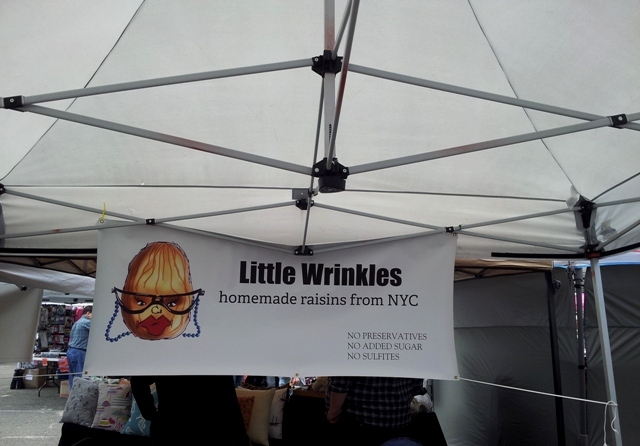 Another yummy delicacy I experienced at the LIC Flea this past weekend were the best raisins I've ever had. I know what you may be thinking, "that's a pretty strong claim," but it's true. My experience with Little Wrinkles, the cleverly named company that specializes in homemade raisins, made from locally grown grapes, was pretty life changing. Founded by Jose Alba and Stephanie Venetsky, two local chefs from the East Village, the concept of Little Wrinkles came about from leftover grapes at their school's salad bar. 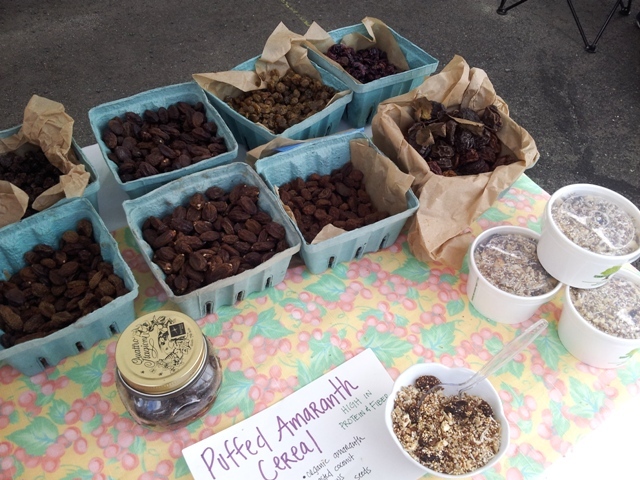 Instead of getting rid of these little nuggets of goodness, they dehydrated them, and produced a refined raisin that not only looks gorgeous (significantly larger than your typical raisin) but tastes truly unique. I love that the grapes are sourced from local farms in New York and New Jersey, and are made sans preservatives, sugar or sulfites. Muscat Wrinkles - Samples of plump, sumptuous raisins initially drew me in, and I got to sample a few different kinds before I decided on the Muscat. I liked these the best, as they looked to be the largest and proved to be soft and really juicy inside. Each bite was delightful, as the juicy flesh exploded in your mouth with each bite. Unlike raisins you'd find in the supermarket, which tend to be dry and lifeless, these had so much flavor and made for a great dessert substitute. I've already added them to my cereal in the morning as well as in a quinoa rice mixture today for dinner - both proving successful.